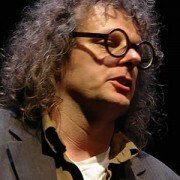 Gerben Schermer (Netherlands, 1959) started the Holland Animation Film Festival together with animation filmmaker Gerrit van Dijk in 1985. The festival takes place every spring, over a period of five days at several locations in the city of Utrecht, the Netherlands. HAFF is known for its idiosyncratic approach and its choice for quality and innovation. Its programming is ambitious, yet intimate and accessible. HAFF organises international competitions for shorts, features, student films, web animations and shorts for children (8+) and a competition for Dutch animation. The festival highlights the latest developments and new talent, shows animation installations, theme programmes and retrospectives, and organizes activities like talk shows, master classes and lectures. Schermer’s passion for the continuation of animation as an independent art form has led to a distinguished career in festival selection and programming. Schermer has held positions as a board member and consultant for national and international organisations. Nowadays Schermer is active in the advisory committee for the Grant Programme for Design of the Creative Industries Fund. Gerben Schermer composed guest programmes for numerous festivals around the world and has been involved in film production as well. In 2010 for instance he produced the animation film Clown’s Revolution by the active young Chinese visual artist Sun Xun who has worked in 2010 for a few months in Utrecht as artist-in-residence of the HAFF. 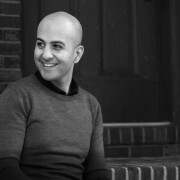 Amid Amidi is the publisher and editor of CartoonBrew.com, a leading animation industry news resource. He is also the award-winning author of numerous books about animated filmmaking, including "Cartoon Modern: Style and Design in Fifties Animation." He lives in Brooklyn. 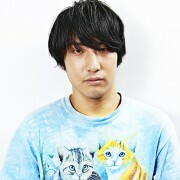 Ryo Hirano is a creator of short animation, cartoonist and illustrator, belongs to FOGHORN. Born in Kasukabe City, Saitama Prefecture in 1988. 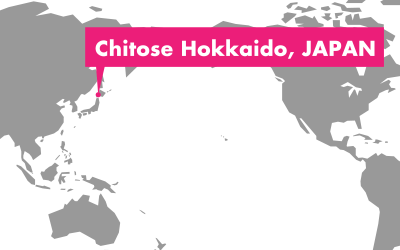 He graduated from the Department of Information Design, Tama Art University. He produces work that can be deep, bizarre and pop-inspired, featuring a range of themes, from cultural anthropology and folklore to subculture, which are chosen as the mood strikes him. The themes are expressed in diverse forms such as animation, illustration, manga, picture-card shows, VJing and music. This may cause confusion. However, his viewpoint is always based on immediate life, and he likes to focus his work on romance and inhuman creatures. Born in 1975, Korea. After graduating from Hankuk University of Foreign Studies, Dept. of Political Science and Diplomacy, he went on to Korean Academy of Animation Arts which is a competitive and prestigious school in order to devote himself to creating animation in which he had been interested for some time. While in the school, he created 3 animation films, “May Be I Am Blind,” “Tea Time,” and “The Letter” which was introduced in NHK Digital Stadium. After graduating in 2003, his self-produced film “Wolf Daddy” received outstanding achievements at Doga CG Animation Contest 2007 and all around the world. 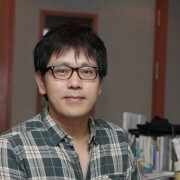 He has created and directed a number of short and long-short animation films, “A Coffee Vending Machine and Its Sword (2007)” and “My Friend Go-ra-ni (2009)” for instance, and his achievements led to success of “The Satellite Girl and Milk Cow (2014)” which was screened at 220 theaters in Korea.